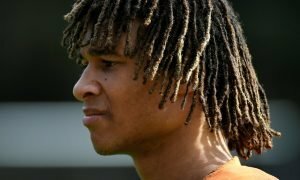 Manchester United favourites to sign Dutch ace | The Transfer Tavern | Where football transfer rumours fly or die! There’s a few whispers spreading around the Football Transfer Tavern that Manchester United have moved into pole position in the race to sign Dutch international Wesley Sneijder. A talkSPORT article has been pinned to the bar by enthusiastic Manchester United fans as the website reports that the Old Trafford outfit have moved to the front of the queue to sign the Inter Milan star. Sir Alex Ferguson is long term admirer of the talented midfielder and the 28-year-old even came close to signing for the Red Devils in the summer of 2011 before deciding to remain at the San Siro. Sneijder has fallen out with bosses at Inter Milan after refusing to accept a lesser contract as the club looks to cut costs and he has not featured for the Italian side since September. The San Siro outfit now appear ready to sell their prized asset in the upcoming transfer window with the Premier League runners-up leading the race. The in-demand article reports that Fenerbahce have pulled out of any bid to sign him and that accordingly makes United favourites although there must be bigger teams ready to raid Inter Milan for one of the highest rated players in world football. Could we soon see the month-watering prospect of Sneijder linking up with compatriot Robin van Persie in a domestic form soon? Vote in our polls below.